Looking for memory products but not sure what you’re actually looking for? Fret not! 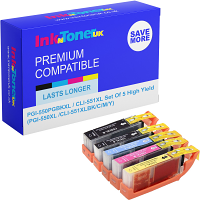 For here at Ink N Toner UK we have come up with a guide to memory products! SD (secure digital) cards are memory cards for use in portable devices such as cameras. There are different types of SD cards, such as SDSC (standard capacity) cards, SDHC (high capacity) cards and SDXC (extended capacity) cards. USB flash drives are data storage devices used mainly to store and transfer data. These small, compact devices are perfect for storing and transferring files for work, home and school.